The Mississippi Department of Archives and History has the most extensive Mississippi artifact collection in the world, and some of the more remarkable items are the historic flags and banners. The Foundation for Mississippi History and MDAH are introducing the Flag Preservation Initiative in order to create greater awareness of the department’s substantial collection of flags and banners, specifically those in dire need of preservation. 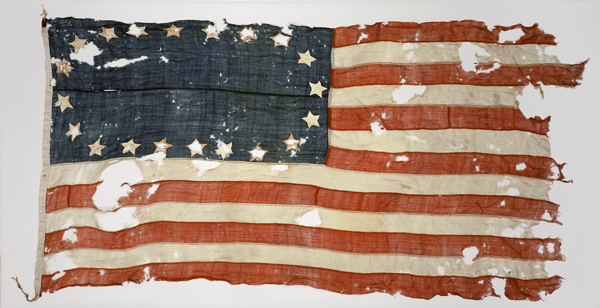 The first flag in need of conservation is one of the department’s most valuable – the Twenty-Star United States flag. This flag represents the state’s admission into the Union on December 10, 1817. 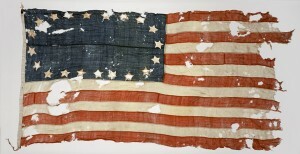 Because of its condition, the flag can rarely be handled and it cannot be displayed in any public setting. It will take nearly $50,000 to conserve it and prepare it for travel around the state in celebration of the Mississippi Bicentennial in 2017. The flag will eventually be on permanent exhibit in the Museum of Mississippi History.